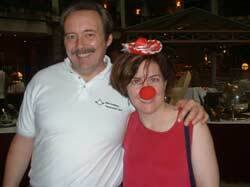 When I was a motivational speaker and humorist for IBM we had a bit of fun with clown noses. I had a bunch of jokes and ideas about how clown noses could be worn at work (for a dose of humor in the workplace) and I’m telling you — they went nuts. 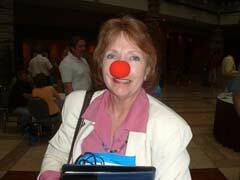 I gave a bunch of the clown noses away at the next event there in the hotel…. and the humor kept on going. Think YOUR business or workplace could use a few smiles? Think YOUR staff might benefit from a little bit of lightening up? Check out other ways I incorporate simple toys with my work as a motivational speaker. https://www.bradmontgomery.com/wp-content/uploads/2018/11/logo-1-495x198-1-300x120.png 0 0 admin https://www.bradmontgomery.com/wp-content/uploads/2018/11/logo-1-495x198-1-300x120.png admin2005-12-15 18:20:132005-12-15 18:20:13IBM Smells funny?